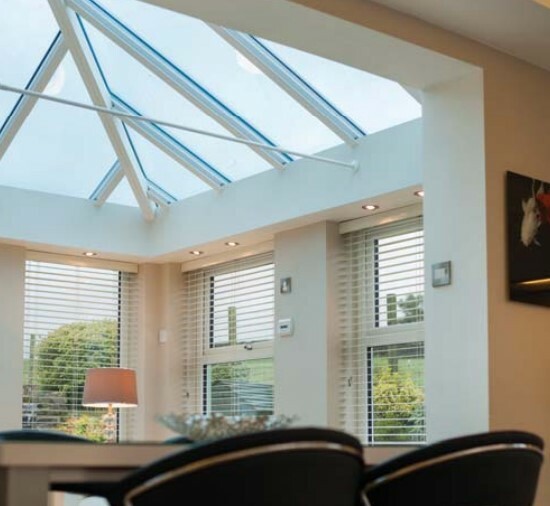 The Livinroom gives you the best of both worlds, combining the light and sky of a conservatory with lovely pelmet which houses downlights. It is truly multi-functional, creating a pleasant space for relaxation or as a ‘full on’ family room. 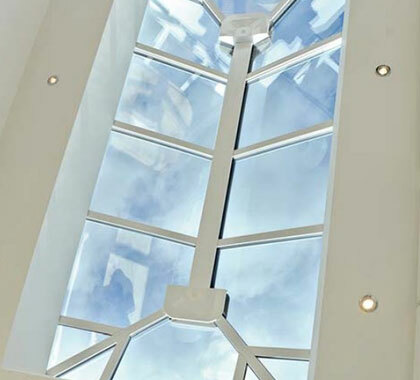 You can maintain light and space by using windows all around or have brick piers or super-insulated Loggia columns to give a greater sense of solidity. This “real room/living room” feel means more styling and furnishing options and the perimeter ceiling is perfect for down lighters. 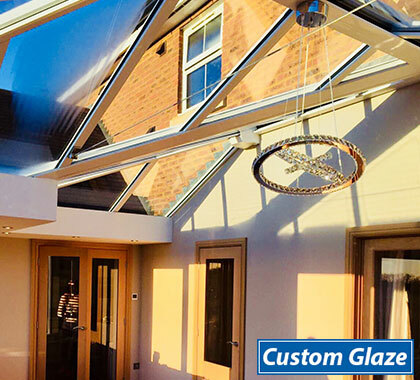 The Livinroom uses the Ultraframe Classic Roofing Technology System which combines state-of-the-art manufacturing technologies with elegant, contemporary designs. 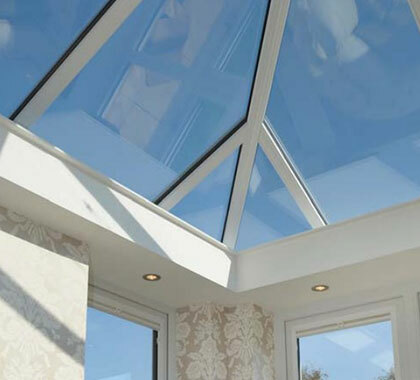 The strong, rigid, lightweight, aluminium conservatory roofing system offers incomparable benefits and has been developed over 20 years by extensive Research and Development. 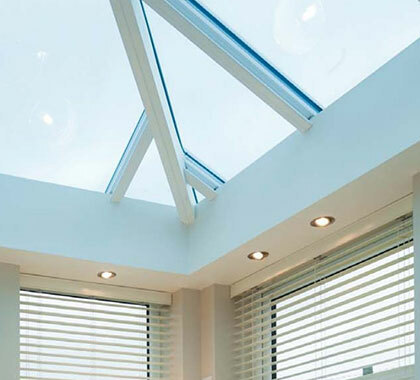 It provides superior thermal efficiency when compared to a standard conservatory which can help as part of a Building Regulation compliant building. The Livinroom uses a Classic glazed roof to which is attached a steel work ladder system at eaves and glazing bar positions. This is then plasterboarded and plaster skimmed to form a perimeter ceiling. Can be used from 15 – 40 degrees. Steel work ladder system extends from 300mm to 1200mm. Internal ‘cloaking screen’ prevents unsightly glimpses of components from bedrooms above. The steel work ladder system takes its support from the roof – unlike some timber pelmet systems which require additional support. 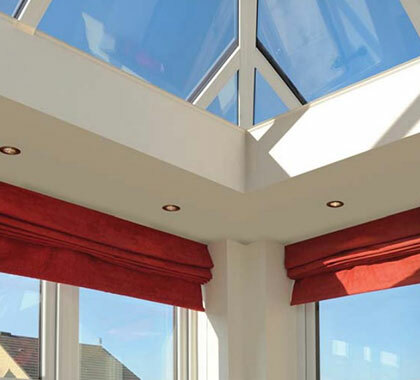 Consider these benefits when choosing a Livinroom which features the Classic roofing technology. 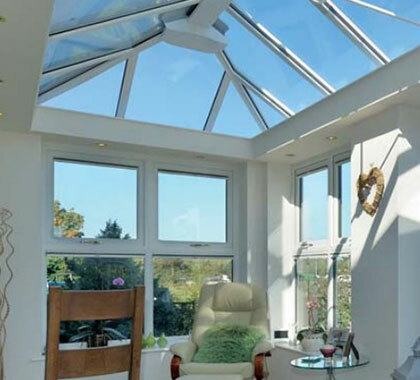 Enjoy the light from a conservatory with the feel of an extension – providing greater overall value and the best of all worlds. Creates a whole new dynamic to the space – a “real room/living room” feel. You can maintain light and space by using windows all round OR have brick piers / super insulated Loggia columns to give a greater sense of solidity. 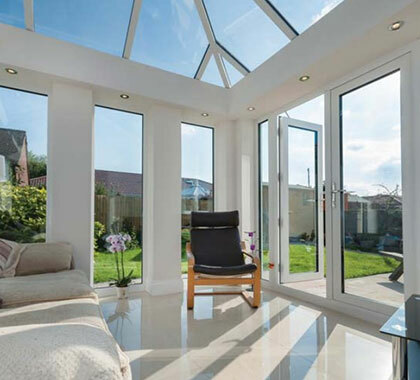 For superior thermal efficiency when compared to a standard conservatory – can help as part of a Building Regulation compliant building. This real room/living room feel means more styling and furnishing options and the perimeter ceiling is perfect for down lighters.